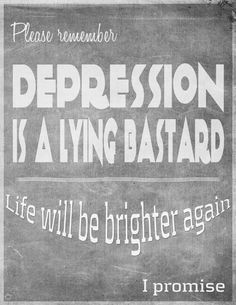 Depression is one of the more well-known mental illnesses. 1 in 5 people at some point in their lives will experience it. That is 20% of the Australian population. Huge numbers! I could sit here tonight and give you the facts about the illness. I could tell you that while there is no definite cause of depression, there are a number of factors that influence its development. 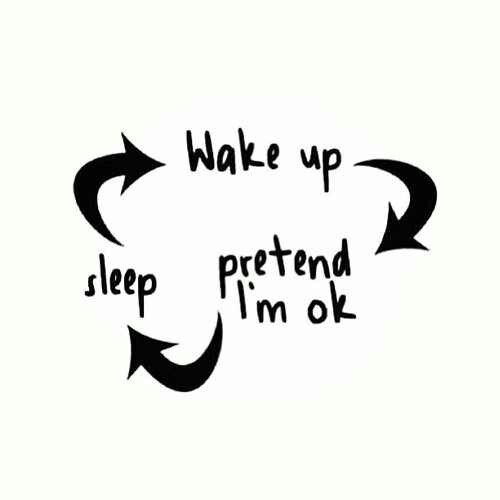 Life events (work or family stress, abusive relationships or unemployment, for example), family history, personality, medical illnesses, substance abuse, or changes in the hormone levels in your brain, for example. 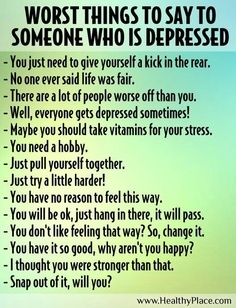 I could also tell you that there are several types of depression. Seasonal Affective Disorder (SAD, where you tend to feel depressed during the winter months when there is less daylight), major depression (which can include bouts of psychosis, melancholy and also includes ante or postnatal depression), bipolar (which alternates cycles of depression and mania – more on this when we cover bipolar disorder), cyclothymic disorder (a milder form of bipolar) or dysthymic disorder (a milder form of major depression). Or, if I didn’t cover these facts, I may describe the types of things people with depression actually experience. A loss of interest in normal, usual daily activities, withdrawing from social contacts, sleeping for most of the day, no longer enjoying the things you used to enjoy, or self-medicating with alcohol or drugs, thoughts of worthlessness, life not being worth living, inability to concentrate, tiredness, unhappiness, indecisiveness, change in appetites, sexual drive or weight, churning gut or muscle pains. All these are common experiences. I might also talk about some of the treatments for depression. For example, various drugs may be prescribed to help rebalance the hormones in your brain (you would need to be aware of the side effects of some of these medications and talk with your doctor about them to find one that really works for you). Or there might be some options if you were to work with a counsellor or psychologist, both of whom could teach you some specific strategies to help you change your thoughts and behaviours. Cognitive Behaviour Therapy (CBT) is commonly used effectively for depression, as is Interpersonal Therapy (IPT) and mindfulness based therapies. Other things that may help are lifestyle changes, such as diet, exercise, relaxation training and social support (through family, friends, support groups etc). Or I might be inclined to let you know that to receive effective help the best person to start with is your doctor, who can then refer you to a psychologist or counsellor. You could also see a social worker, alternative health therapist or even a psychiatrist or mental health nurse, each of whom can offer different types of support. But I don’t want to give you “just the facts”. 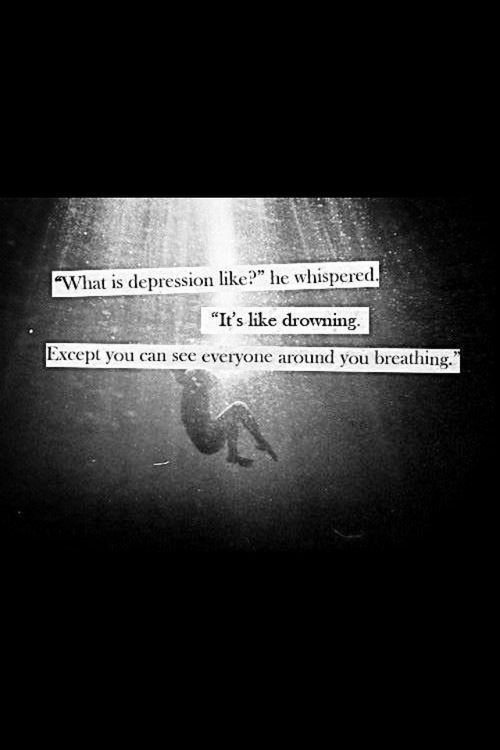 Depression is so much more than mere facts. There is no way that anyone could understand what it is like to live with it just by reading “the facts”. Sure it describes the basic things, but they can never describe the individual experiences. “The FACTS” could never describe how it FEELS to experience the helplessness, the fatigue, the lack of interest in participating in your own life. “The FACTS” could never give you an accurate idea of what it is like to feel like you don’t belong on the earth. They could never show you the frustration you feel when you can’t concentrate on your work or study. And the facts could certainly never show you what it’s like to not be able to play with the children you love so dearly because you just can’t summon the energy. Not to mention the sorrow at watching those same children being sad because they can’t understand that mummy or daddy just can’t spend time with them. There are so many other things that the FACTS just cannot show you. 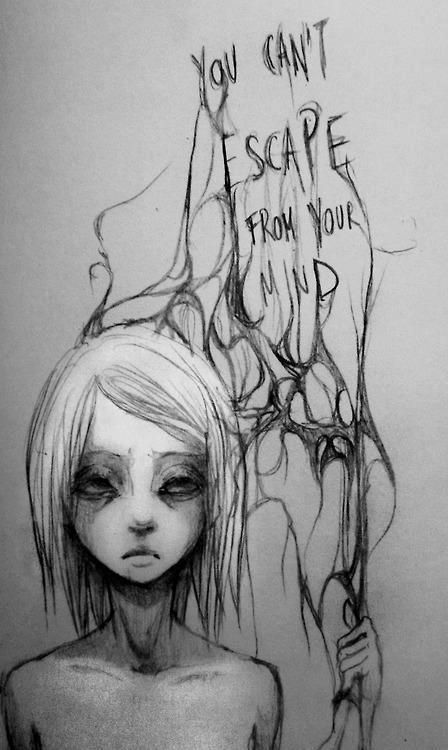 There is no way that you could ever understand what it is like to live with depression unless you were actually in the middle of it. Only then could you understand how, no matter how HARD you try, you just can’t get yourself moving in the morning. Only then could you understand how the “black dog” sits at your door all day every day and impacts on every part of your life. Only then could you truly GET that living with depression is like being in a battlefield every moment of every day, where you are constantly fighting your way out from underneath an overpowering, suffocating cloud of blackness. 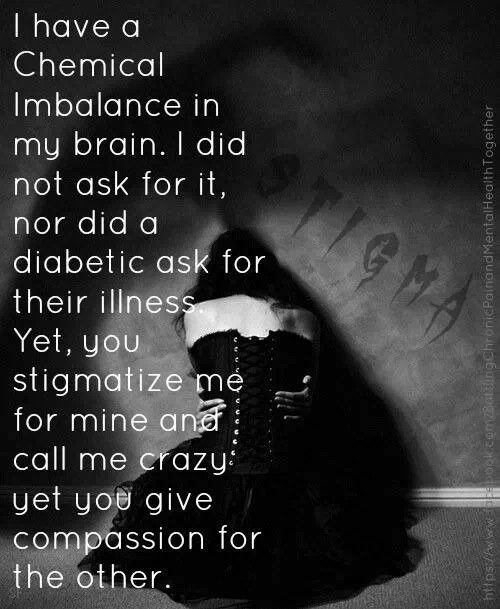 And I think that if the people who lived with this insidious illness would want you to understand anything, it’s that one of the most basic things they really need from others is compassion. Saying (or implying) “get over it” does nothing more than lead them deeper into the hole. 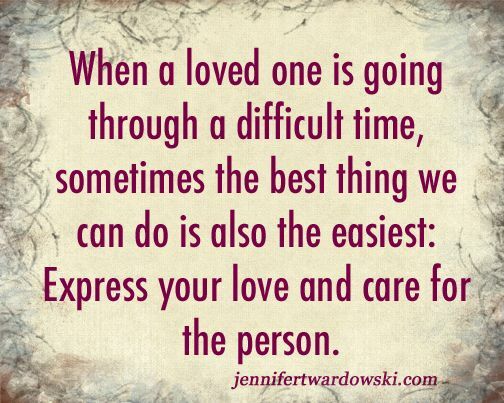 They need you to stick by them and support them through their daily struggle. To let them know that it’s ok to take a break from fighting the good fight sometimes and to retreat, allowing their heart and soul to heal a little. And to let them know that some days, simply getting out of bed and having a shower is enough of an achievement. And I am sure that they would love to know that they are enough. Just as they are, even with this illness.